The global bot services market size is expected to grow from USD 458.4 million in 2017 to USD 1,783.9 million by 2022, at a Compound Annual Growth Rate (CAGR) of 31.2%. The proliferation of millennial across social media channels and the use of Artificial Intelligence (AI), Natural Language Processing (NLP), machine learning, and analytics tools in the bot ecosystem are the major factors driving the growth of the bot services market. However, the dependency on deployment platforms for bots may hinder the growth of the bot services market. Among the deployment channels, the social media segment is a high-growth segment in the bot services market. Consumers across various social media platforms are increasing at an unprecedented rate. Social media platforms are easy communication channels for businesses to interact with their customers. Enterprises are widely implementing bot services on platforms, such as Facebook Messenger, Kik, Telegram, WeChat, Skype, and Twitter, to engage with customers and provide a personalized experience for different tasks. Among the end-user verticals, the BFSI segment is expected to grow at the highest CAGR during the forecast period. The BFSI segment commands the bulk share in the bot services market, as the availability of mobile devices, such as smartphones and tablets, has made it easy for the BFSI stakeholders to deploy bot services on various platforms, such as websites, contact centers, and social media channels, to interact with customers. Some of the major applications of bot services in the BFSI sector include account management, customer alerts and reminders, credit and loan application updates, branch and Automatic Teller Machine (ATM) locators, financial advisors, insurance applications, and customer surveys. APAC is expected to witness the highest growth rate in the bot services market during the forecast period, owing to the large-scale implementation of bot services across various end-user verticals, such as banking, government, and travel. Enterprises in China, India, Australia, and Japan have deployed bot services on websites and social media platforms to interact with the customers. The penetration of smartphones and the growing number of social media users are the primary factors that have propelled the growth of the bot services market in the APAC region. Some of the major vendors in the bot services market are Microsoft (US), IBM (US), Facebook (US), Google (US), Amazon Web Services (US), Nuance Communications (US), Aspect Software (US), Inbenta Technologies (US), Creative Virtual (UK), IPsoft (US), 24/7 Customer (US), CogniCor Technologies (Spain), Astute Solutions (US), Gupshup (US), Next IT Corp. (US), Kore.ai(US), Rasa Technologies GmbH (Germany), Pypestream (US), Avaamo (US), Pandorabots (US), LogMeIn (US), Artificial Solutions (Spain), Botego (Turkey), Chatfuel (US), Webio (Ireland), and Do You Dream Up (France). The global bot services market has been segmented on the basis of services, deployment channels, modes, end-user verticals, and regions. A detailed analysis of the key market players has been done to provide insights into their business overview, products and services, key strategies, new product launches, partnerships, agreements, collaborations, expansions, and the competitive landscape associated with the bot services market. • The report segments the bot services market comprehensively and provides the closest approximations of the revenue numbers for the overall market segments and subsegments across different regions. 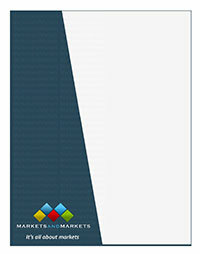 • The report helps stakeholders understand the pulse of the market and provides them information on the key market drivers, restraints, challenges, and opportunities. • The report helps stakeholders better understand their competitors and gain more insights to improve their position in the market. The competitive landscape section includes the MicroQuadrant matrix, wherein 26 players have been placed in 4 quadrants, namely, visionary leaders, dynamic differentiators, innovators, and emerging companies, based on the companies’ product offerings and business strategies.